All matted frames may be ordered with or without text. Each mat is uniquely created and handcrafted to coordinate with the frame, and no two frames or mats will be identical. I will attempt to stay as close to the colors of both frame and mat shown, but they will differ as each is a new artwork. You may order either of the two blessings I have selected: The Jerusalem Blessing (specify frame order number with "text letter A") written on Order Form, or The Testament of Joseph (specify frame order number and "text letter B") written on Order Form, at no extra cost. 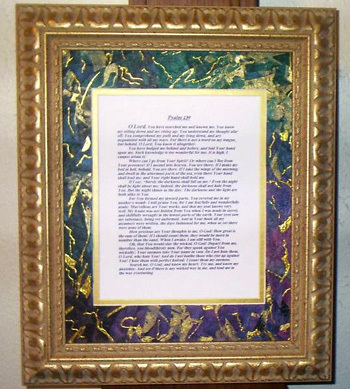 You may also request your own typed Scripture, prayer or poem to be framed for a small charge. Contact Debbie by email through the link below for special orders. 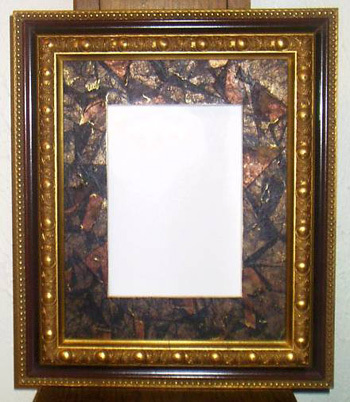 8 x 10 inch chocolate and beaded gold frame with handcrafted matte in metallic shades of copper and brown. To order text choose "A" or "B" above. 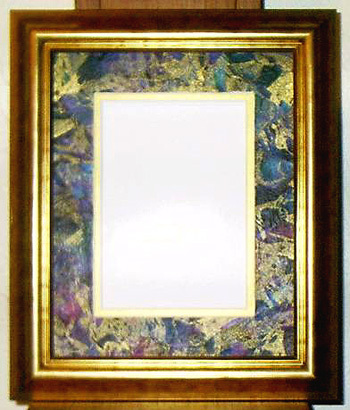 8 x 10 inch gold frame with handcrafted matte in shades of purple, teal and gold. To order text choose "A" or B" above. 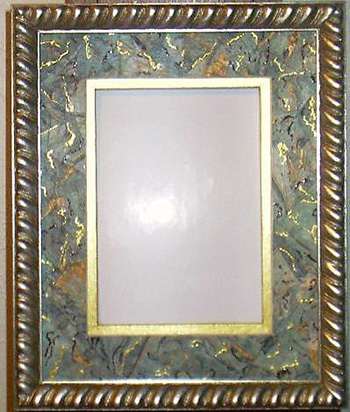 8 x 10 inch gold and silver frame with handcrafted matte in turquoise "marble" pattern. To order text choose "A" or "B" above. 11 x 14 inch elegant gold and ivory faux ceramic frame with handcrafted matte in shades of purples, gold, fuschia and teal. To order text choose "A" or "B" above. 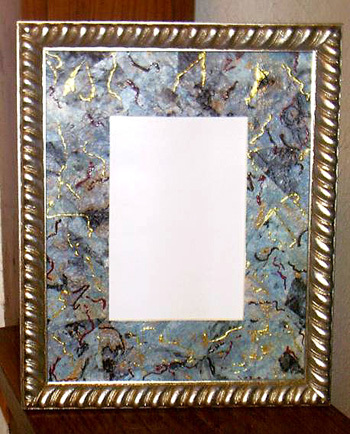 8 x 10 inch gold and silver frame with handcrafted matte in turquoise "marble" pattern, cut for 5 x 7 inch photo or print. To order text choose "A" or "B" above. My Frame Shop has been visited times.